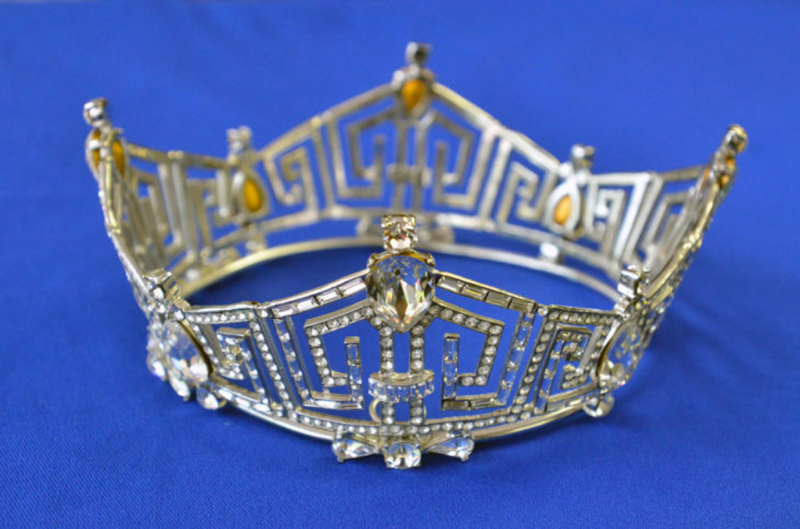 The song was broadcast throughout the state in June as part of the competition to select the Miss Virginia who will represent the Commonwealth in Atlantic City. Just that was a thrill for me: hearing my words performed by previous Miss Virginia winners to the entire state. Even though I’ll be Kylene’s guest, through mutual friends, I’m forbidden from having any contact with her during the week leading up to the Pageant. Strict rules protect the impartiality and integrity of judges from outside influences. Actually, I’ve not even met Kylene in person. But she has already enriched my knowledge of what a “beauty queen” really is. For one thing, take a look at the kind of Acrobatic Dance skill she developed. This talent was among the many reasons she became Miss America. Obviously – aside from the beauty, poise and intelligence required to be a winner — the ability to perform in this way takes tremendous discipline and commitment … surely a reflection of character. Kylene is a successful entrepreneur. At only 23, she was running her own retail clothing store on Worth Avenue in Palm Beach, FL. (That’s the ritzy equivalent of posh Rodeo Drive in Beverly Hills.) She’s a published author, has done network TV fashion reporting and — having majored in fashion at Virginia Tech — produces fashion shows today to benefit charities including the Cancer Alliance in Naples, FL. She has also been a corporate spokesperson for Clairol and other organizations. She is also a rather serious competitor on the golf course. Already I’ve come to appreciate the fact that the Miss America Organization (MAO) is the single largest scholarship program for women in the United States. It has helped many young women graduate debt-free, despite the tremendous cost of a college education these days. I was impressed to learn, as well, that MAO partners with the U.S. Department of Education to encourage women to excel in areas that are currently under-represented by female participants: science, technology, engineering and math. Bottom line: I’ve been learning a lot! I’ve begun to see more clearly how the entire competition rewards its participants for their hard work and drive, with remarkable educational and career opportunities that result. 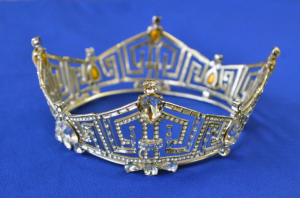 I’m looking forward to attending the Pageant in person, and to sharing some of my on-site impressions with you right here! After almost twenty years without a state song, the Commonwealth of Virginia now officially has two … one of which, astoundingly enough, is mine! 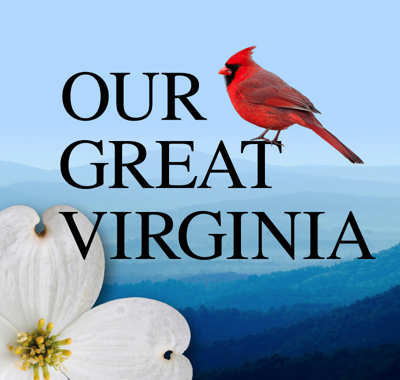 As of July 1, 2015, “Our Great Virginia” became the official anthem of the Commonwealth … the Traditional State Song of Virginia. (“Sweet Virginia Breeze” by Robbin Thompson became the official Popular Song.) 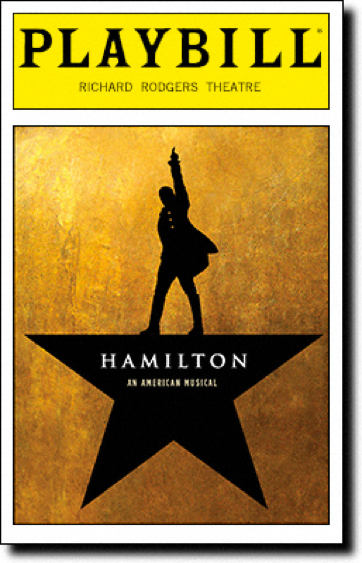 Governor Terry McAuliffe signed both songs into law on March 26. 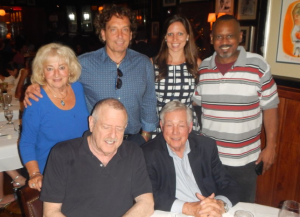 In mid-August, 2015, my two Virginia champions of the song … Historian, Prof. James (“Bud”) Robertson and his dynamic wife Betty … visited New York City from their beloved state to join me, DJ Tony Smith, and Jim and Sophia Papoulis for a celebration of what we had accomplished together. Crucial to making this happen was Virginian, Truman Ross. When Bud was looking for a lyricist, Truman helped by turning to my best-in-class professional song plugger in Nashville, Chris Keaton (originally a Virginian, himself) who recommended me. Composer/Conductor Jim Papoulis – my partner in composing three of the four Dance Club songs I’ve written that became Billboard-charted hits – did the beautiful arrangement of the folk song with my words. Sophia Papoulis – in addition to her gorgeous vocals in one of its performances – helped manage the project with grace and professionalism. So the six of us had a wonderful dinner at Gallagher’s Steakhouse. The next night, the Robertsons, Tony and I saw “Hamilton” … one of the most impressive and influential Broadway musicals I will ever have seen in my decades of avid theater-going. So … let it be known … Happy Workaholic I may be … but we did take time to celebrate in style. I’m immensely honored (and still amazed) actually to have written a real state song. 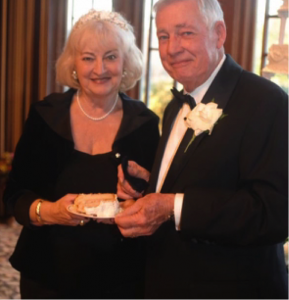 And I’m grateful to my parents, Sam and Lucille Greenly, who gave me the strong work ethic that still powers me today as I use the few real aptitudes I have – as a writer … whether of speeches, video scripts or songs. I’m a happy and lucky guy. 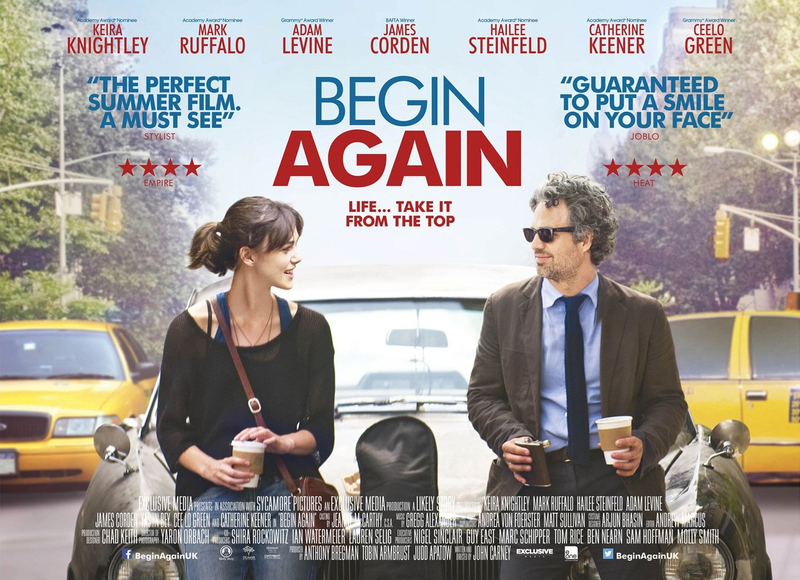 I cannot be objective about this movie, “Begin Again.” It has too many personal connections for me … too many levels on which I, in particular, would inevitably enjoy and be touched by it. I was so affected by it, in fact, that I don’t trust myself to recommend it in a blanket way to others. 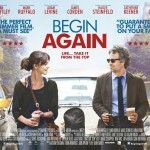 Then, maybe … that’s all I’m saying … maybe you will consider this movie as wonderfully special as I did. But given who I am, given the person I’ve become, I simply couldn’t help myself. Growing up in South Carolina, even while being taught about my home state, I developed a special reverence for Virginia and its place in the nation’s history. It’s known, of course, as the birthplace of our first President … then Jefferson … continuing through to Woodrow Wilson. I’ll never be able to brag about my personal knowledge of history, but I know enough to realize that Virginia has a special heritage. Amazingly — earlier this year — I was honored to be invited to write a tribute in song to the state. You’ll find it on iTunes with the voices of the Fairfax Choral Society Concert under the leadership of Director Patrick F. Vaughn. Mother’s Day is approaching … and although my mother has been gone for more than three years, I’m glad to be part of a musical tribute this year to single moms across the country. I grew up, as did one of my songwriting partners, Paul Guzzone, with a mom and a dad. I was “different” from my peers in my own particular ways. But I did have two committed parents, steadily part of my life. A third songwriting partner – Jake Stigers – didn’t have that equal footing when he grew up in Boise, Idaho. 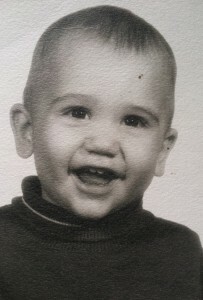 His mother, Margaret, raised him by herself, along with his older brother, Curtis. The beauty of collaboration in songwriting – as the corporate clients for whom I write speeches, often cite is true in business – is how a team can produce results beyond what any individual could have done. On my own, I would never have thought to write a song called, “Single Mom”. But Jake, Paul and I built on Jake’s true-life history and together we created a song in several versions: a first person version sung by Jake, himself … and a third person version.